Okay, HomeKit. Let’s do this. Its been YEARS. But we finally got started with HomeKit. And I may not stop. HomeKit is exceeding my expectations, and gets better with every device we add. 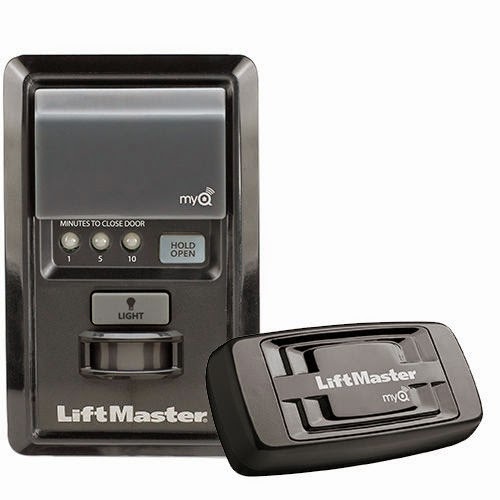 You may recall that we have a MyQ garage door opener. It saved Thanksgiving one time! But it wasn’t HomeKit. Until now. 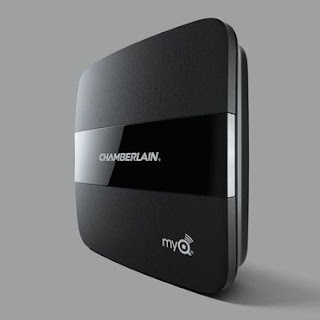 Chamberlain recently offered free MyQ Home Bridges to anyone who had previously purchased MyQ products. 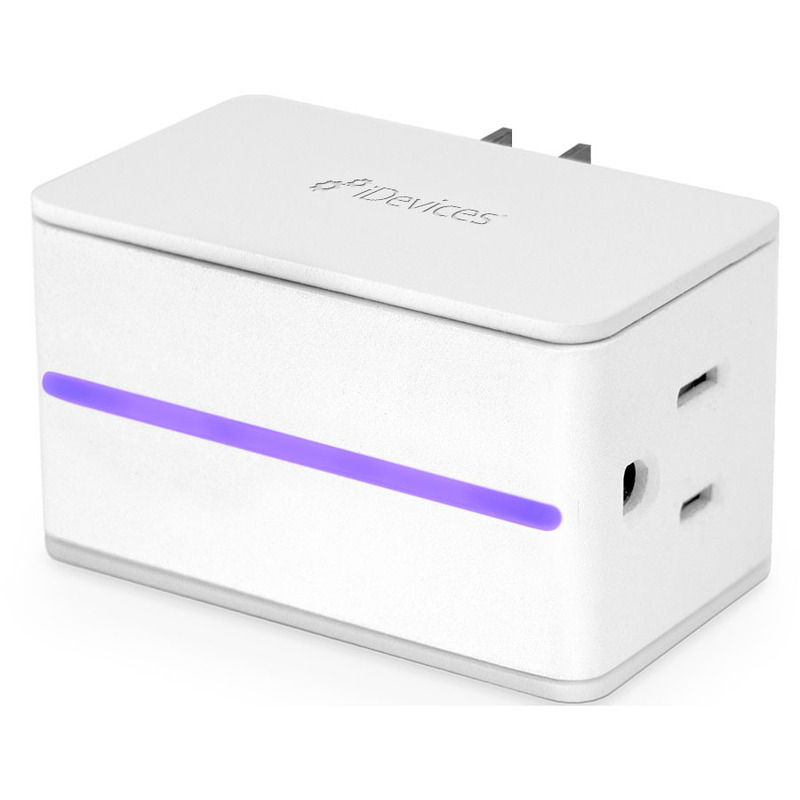 The Home Bridge essentially replaces the MyQ Internet Gateway, and adds HomeKit functionality. Mine arrived Saturday morning. Given that we’d JUST installed an iDevices Switch for our Christmas tree (more on that below), I was eager to get this installed too. My early impressions? HomeKit is a bit quirky, but really cool. Probably should start from the beginning. You're going to have to assign one AppleID as your HomeKit "owner". And if you intend to do ANYTHING cool with HomeKit (automations, scenes... control of devices while not at home... really anything), you're going to need a hub using the SAME AppleID. A "hub" can be an Apple TV in your house, or an iPad that "usually remains at home". In our house, we have a "Family" AppleID as our organizer, and every family member (well, my wife and I, and our 6th grader) have subordinate AppleIDs, with everyone linked together as a Family. I started the HomeKit install using my new iPhone 8. And it worked great -- until I realized that my personal AppleID was NOT the iCloud in use on any AppleTV or iPad in the house, so I had no hub. Time to start over, this time using the "family" iPad to set up. We started with the iDevices Switch. There are a number of HomeKit-compatible switches on the market. The basic Switch, from iDevices, has a couple of advantages. First, it's cheap. During this holiday season, you can get an iDevices Switch for under $30. Secondly, it has a "side plug" alignment. That may not seem like much, but it ensures that your plug-ins stay RELATIVELY close to the wall - a "straight on" plug-in alignment means that your plugs will stick an inch or so more out of the wall than before, once you take the depth of the switch into account. Third, it has a night light - a color changing LED on the front of the Switch. It's 2 devices in one! We're using the Switch to control our Christmas tree. (It's a National Tree Company "Feel Real" artificial tree, pre-lit). Adding a HomeKit device could be easier. My first several attempts to connect the Switch failed, and I'm not sure exactly why. I attempted the set-up through Apple's Home app, and then again through the iDevices app. Adding a HomeKit device should be pretty simple - you use your iOS camera to scan an alphanumeric code, and you're off. Well, on the third or fifth attempt, anyway. Once the Switch was successfully added to our Home, it appeared in both the iDevices and the Home apps - and in the Home app on all family iPhones. Pretty slick. In fact, it appeared twice - once as a Christmas Tree, and once as a Night Light. Because we'd used our family organizer AppleID, we had several available hubs to choose from - any Apple TV or iPad would work. Our first automation -- the Christmas tree -- was simple. "Turn on at Sunset, turn off at 11 PM." The second one was for the Night Light - "turn on at Sunset, but turn off whenever the Christmas Tree is on." Both automations have worked perfectly. Even though we're often turning the tree on and off during the day - HomeKit just makes sure it's on (or remains on) at sunset, and turns off at 11. We've had a Chamberlain MyQ setup for quite some time. Our garage door opener panel connects to the Internet Gateway - when these two devices are in place, the garage can be opened remotely via the MyQ App. We're still using that garage door opener - but the Internet Gateway is gone. But - based on a quick scan of Reddit and other message boards - people HATED IT. MyQ had advertised HomeKit compatibility for years, and ultimately were going to require a new $70 hub to provide that functionality. So.... Chamberlain just decided to give the hubs away. Probably THOUSANDS of them. To anyone who had purchased MyQ equipment prior to a certain date. Mine arrived Saturday. I'm still kind of in disbelief that there were no strings attached. Now, the Home Bridge is supposed to be mounted on the garage ceiling - it has mounting hardware and everything. I had my Internet Gateway plugged into the ethernet switch in our basement "server room". The Home Bridge has NO ethernet capability -- but I wanted it to be in the basement anyway. And now, the Garage Door shows up in HomeKit! Moving forward, we'll be adding some HomeKit light switches, which will turn on the mud room lights when the garage door opens after dark. This is the "hook" for HomeKit -- you're constantly coming up with new ideas for scenes, and every device you add to your ecosystem adds new possibilities.